By 2030, the World Bank predicts Millennials’ collective annual income will exceed $4 trillion, and Accenture estimates they stand to inherit at least US $30 trillion over the next 30 years. As this transfer of wealth continues, It’s more important than ever to understand the buying habits of Millennials and Gen Z shoppers. 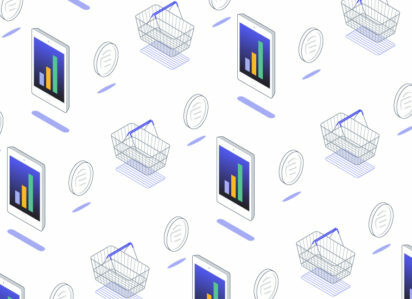 At Bread, we work with savvy brands ranging from digitally native, direct-to-consumer players to heritage companies looking to build out their ecommerce channels. We partner with each to drive real impact for their business. We’ve tracked three developments in the jewelry industry that illuminate advancements in the wider world of considered purchases. Not only are these shifts relevant to the way customers buy online, but they are also becoming a more vital part of the shopping and research process before they buy in-store. Millennials are looking to buy products that align with their values. This is because faith in large, established brands is waning. A 2018 survey from Deloitte showed that only 48 percent of Millennials agree that corporations behave in an ethical manner, and Millennials’ faith in business leaders’ commitment to improving society has dipped from 62 percent in 2017 to 47 percent in 2018. However, according to Forrester, nearly seven out of every ten US Millennials actively consider company values when making a purchase. Increasingly, both newer brands and heritage leaders are employing new strategies to meet their expectations. We’ve seen this trend on a large scale already. From Gillette launching a national campaign around rethinking traditional masculinity, to Chobani starting a no-strings-attached incubator for small companies looking to make their mark. 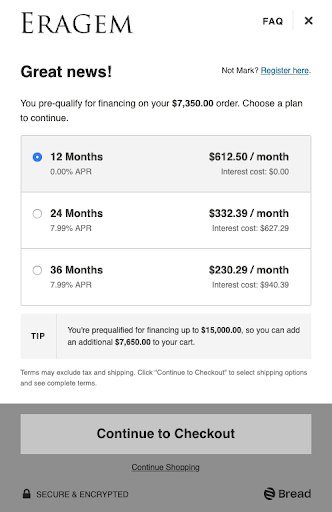 And we’ve seen newer brands like Everlane build a name for themselves by championing transparent and ethical manufacturing and showing the complete pricing breakdown of the products on their site. In the jewelry space, this has manifested in a number of new, ethically-focused jewelry brands in both the mined and lab-created category. Direct-to-consumer jewelry brand Miadonna offers lab-created diamonds because their founder Anna-Mieke Anderson is determined to free children from a lifetime of unethical diamond mining. The brand name itself is a combination of her daughter’s name Mia and mother’s Donna, and their profits fund initiatives in education, mentoring, agriculture, and urgent relief efforts in diamond mining communities through The Greener Diamond Foundation. Lab-made diamonds are growing in popularity for both Millennial and ethically conscious buyers. A recent report shows that 66% of Millennials who were actively shopping for an engagement ring said they would consider a lab-grown diamond, with 23% stating they would outright buy a ring with a lab-grown stone. Jewelers also report a closing ratio of 60% to 80% once they explain what lab-grown diamonds are and how they’re created. “Many of our customers are attracted to lab diamonds as they represent a forward-thinking technological advancement, but they are also a sustainable and cost-effective option,” said Beth Gerstein, Brilliant Earth’s Co-Founder and CEO. Beyond lab-created diamonds, Brilliant Earth also uses what they call Beyond Conflict Free Diamonds, which take an even more stringent approach to protecting against human rights and environmental abuses in the supply chain. Brilliant Earth puts ethical concerns at the forefront, but also provides a luxury experience with personalized consultation and one-on-one education in enjoyable and low-pressure showrooms. For mined diamonds, other brands are highlighting sustainability and making their history part of their story. Noémie makes sustainable, luxurious jewelry exclusively from ethically-sourced stones, only using those from established suppliers who meet their strict standards. By cutting out the markups of traditional retailers with a direct-to-consumer model they can focus exclusively on craft and design. Their shopping experience emphasizes the journey—the journey their stones and recycled precious metals have taken to end up in their jewelry, and the journey their timeless pieces will go on with you over your lifetime. 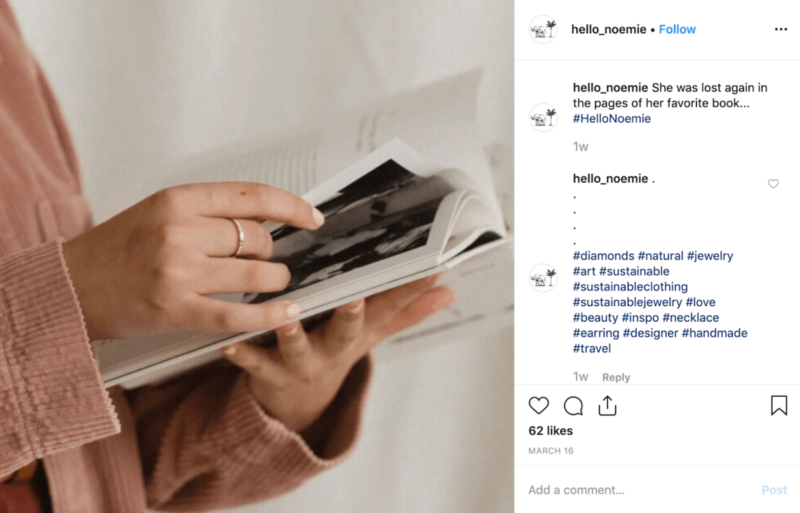 Their site even tells the story of “Noémie” herself, setting the aspirational tone for the rest of their messaging on their site, Instagram, and beyond. 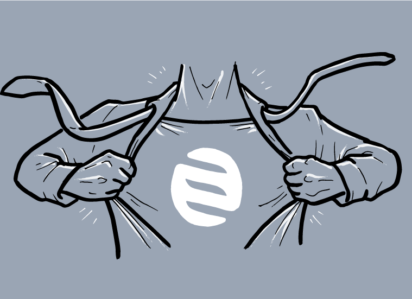 It’s hard to miss the same push for more socially-conscious and transparent offerings across industries. From clothing to food and home goods, Millennial and Gen Z shoppers want to know the full story, across the supply chain, so they can pick brands that align with the causes and worldview they support. 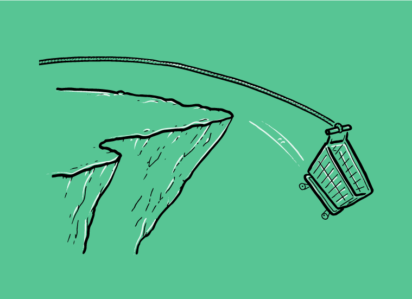 What you can do: You shouldn’t expect customers to trust your brand or your products by default—they’re going to do their own research. Inform your audience about your products’ origins from the start like Noémie, and don’t be shy about highlighting what you’re doing as a brand to give back like Miadonna. According to Hubspot, the About Us page is the second most-visited on your site. Communicating your story, your values, and your commitment to social responsibility upfront in the buying process is critical for success. Your brand is more important than ever as a way to align what you stand for with your customers’ beliefs. The future of shopping isn’t brick-and-mortar. It isn’t online, mobile, or virtual, either. The future of shopping will spread across channels, as digitally native shoppers hop from screen to screen, from voice assistant to VR headset, in pursuit of the experience that suits them best. This is true for all sectors, and pressing for the luxury and jewelry space. And while Millennials might be the originators of omnichannel shopping, the next generation will be the ones to bring it to maturity. Research finds that 67 percent of Gen Zers prefer to shop in a brick and mortar store, but 80 percent say that their purchases are influenced by social media, and 38 percent are willing to place an order using a voice assistant. The luxury sector, including jewelry, is far from immune to this trend. A report by McKinsey found that 78 percent of all luxury purchases today involve one or more digital touchpoints. It’s become second nature to look online both to get ideas or find inspiration for a purchase, as well as to do research to find the perfect piece. De Beers also found that 59 percent of Millennial and Gen Z women search online before making a purchase to educate themselves on diamond quality, pricing, brands, and design. To make the most of these trends, heritage jewelry brands are leveraging their brand recognition and retail footprint to bring a modern shopping experience directly to their customers. Blue Nile, one of the earliest and largest online jewelers, is making inroads with brick-and-mortar showrooms. Their site lets you customize and build your own diamond jewelry and view every piece from 360°. Their growing number of physical stores now let you try on your digital creation in person before making that purchase digitally. Helzberg Diamonds have recently launched an augmented reality try-on experience of their own in selected showrooms. 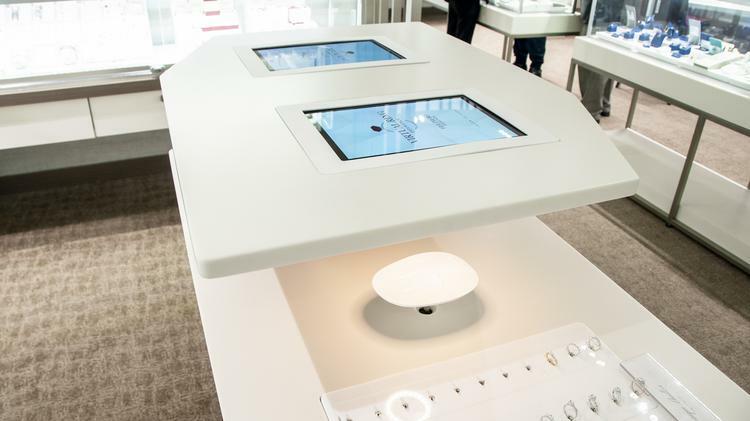 The experience uses a special screen and motion sensors to let you visualize the ring of choice right on your finger. You can even take a picture within the Helzberg Virtual Ring Experience and share it on social media. This innovation closes the gap between the introductory online shopping experience, where customers can conjure up any custom ring they can think of, and trying on the ring they want in a showroom environment. While currently only available in seven stores, Helzberg plans to double their AR experience within a year. What you can do: Go where your buyers are—you can’t expect them to come to you. If your business thrives on ecommerce, consider what you can do to connect with them in person as well. Pop-ups are a good place to test and see how customers respond. If you have a successful brick-and-mortar presence, then optimize your digital presence to meet customer expectations. Success will come to those who figure out how to make shopping, purchasing, and financing seamless on desktop, mobile, over the phone, with voice assistants, and in-store. The way we make payments is always evolving. Millennial and Gen Z shoppers are much more averse to credit card debt than their predecessors, with one survey finding that 33% of Millennials fear credit card debt more than even death itself in their daily lives. Financing opens up opportunities to these customers that gives them access to bigger-ticket purchases without running up a credit card bill. We can see this trend in action in the jewelry space. After Bread partnered with vintage jewelry brand EraGem to offer financing, they saw firsthand how financing can improve their omnichannel experience. Over 20% of EraGem’s 2018 sales were ﬁnanced through Bread, and the jeweler experienced a 172% increase in year-over-year revenue. What you can do: Consider a financing option like Bread to offer more flexible financing wherever your customers are. Jewelry financing, and financing at large, is a relatively low-effort way to start delivering the kind of modern buying experience that Millennial and Gen Z customers have come to expect. An increased emphasis on authenticity and transparency, omnichannel customer journeys, and an openness to use new financing options are all changing how shopping works in the jewelry space, and how we buy things at large. Staying alert and on top of these trends is critical for your business, and the best method for doing so is to follow shifts in your industry and others, while always listening closely to your shoppers.